Raisin toast (Again!! 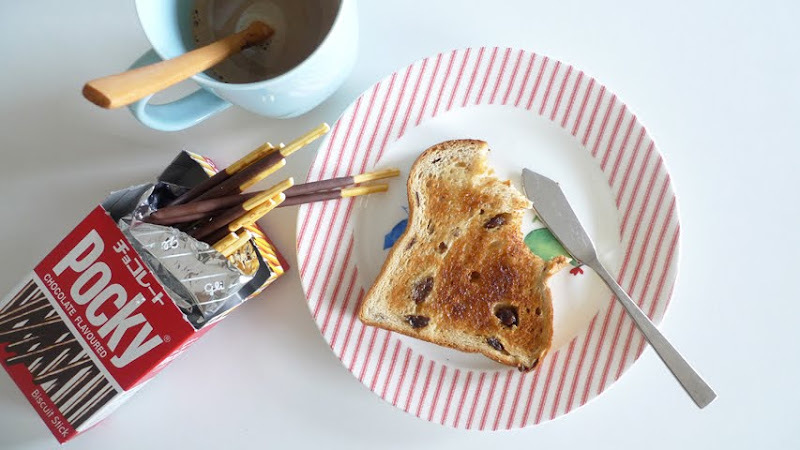 Because it’s my niece’s fav bread), chocolate biscuit sticks and coffee. Pocky was one of my favourite snacks when i was a kid. And amazingly, till today, i still remember their tvc, especially the ending part where they showed a girl (on a bicycle?) eating pocky with a swinging hand action that my sis and i tried to mimic. It then ended with the brand name ‘Glico’ in high pitch. Ahh... childhood.